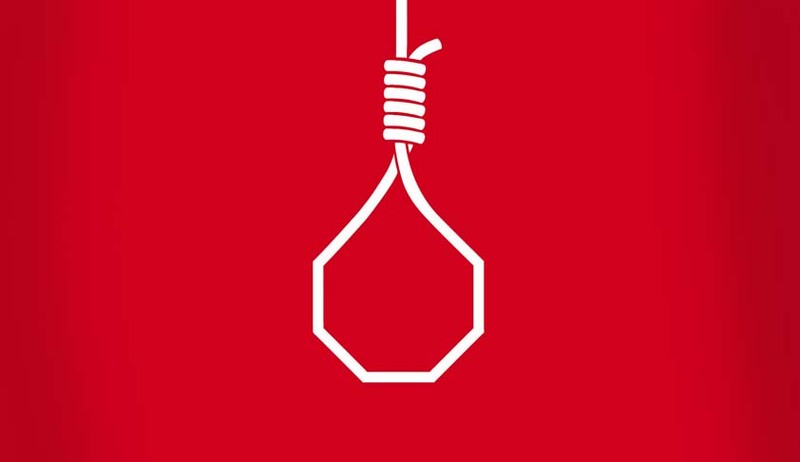 The Supreme Court bench comprising justices Dipak Misra, R. Banumathi and Ashok Bhushan, yesterday extended the stay on the hanging of Vikram Singh and Jasvir Singh, who were sentenced to death for the kidnapping and murder of Abhi Verma, son of an established jeweler of Hoshiarpur, Punjab, in 2005. Both the convicts were to be hanged on the morning of October 25 at Patiala Central Jail, as per the order of Hoshiarpur district and sessions judge on September 27. In view of the extension of stay on hanging, the order will not be executed. The bench decided to extend the stay after hearing the counsel for both the convicts. Senior advocate, K.T.S.Tulsi argued for Vikram Singh, while Raj Kamal, argued for Jasvir Singh. Tulsi argued that the tape recorded conversation between the father of the deceased, and the kidnapper, relied upon as evidence by the prosecution, could be used only against Jasvir Singh, as the experts could match the conversation only with the voice of Jasvir Singh. Secondly, Tulsi relied on the Supreme Court’s judgment in P.V.Anvar v P.K.Basheer, delivered on September 18, 2014 by a three Judge bench, to suggest that the tape recorded conversation between the father of the deceased, and the kidnapper, did not satisfy the requirements of Section 65B of the Indian Evidence Act. Proof of electronic record is a special provision introduced by the Information Technology Act amending various provisions under the Evidence Act , in 2000. After this amendment, special provisions on evidence relating to electronic record are governed by the procedure prescribed under Section 65B of the Evidence Act. “This is a complete code in itself. Being a special law, the general law under Sections 63 and 65 has to yield”, the bench held in P.V.Anvar. In P.V.Anvar, the Supreme Court held that in the case of CD, VCD, chip, etc., the same shall be accompanied by the certificate in terms of Section 65B obtained at the time of taking the document, without which, the secondary evidence pertaining to that electronic record, is inadmissible. In that case, the appellant admittedly did not produce any certificate in terms of Section 65B in respect of the CDs. Therefore, the bench held that the same could not be admitted in evidence. As it was a challenge to the election of a successful candidate in the assembly election, the appellant’s case set up regarding the corrupt practice of the successful candidate, using songs, announcements and speeches, fall to the ground, the bench had held. Similarly, Tulsi argued that the tape recorded conversation between the father of the deceased and the kidnapper was sent to an expert, who gave his report, confirming Jasvir Singh’s voice. Although Vikram Singh’s voice was not identified, the difference was not noticed, Tulsi told the bench. Tulsi also contended that Vikram Singh’s finger prints in the car, which he borrowed from another person, for the commission of the offence, could not be used to prove his complicity. Since the car was in his possession, his finger prints were bound to be there, but that did not mean, he was complicit, he argued. Tulsi also referred to the injection of chloroform to the diseased. Calling it as a legitimate use of a drug, Tulsi said, excess administration of this drug, could only be described as rash and negligent, and the resulting death of the deceased, an accident. Therefore, he said this is a valid ground for commuting Vikram Singh’s death sentence. The accused wanted to keep the boy alive, causing his death was contrary to their intention, Tulsi argued. Another ground cited by Tulsi was that both the High Court and the Supreme Court did not make any evaluation of the possibility of reformation of the convict. He also claimed that extra judicial confession, relied by the prosecution is weak evidence. Raj Kamal, counsel for Jasvir Singh, adopted the arguments of Tulsi. Thereafter, Additional Advocate General for Punjab, V.Madhukar, told the bench that even if the electronic evidence is taken out, the convict is not better off, as there are sufficient grounds to warrant his conviction and death sentence. Drawing a parallel to the hanging of Yakub Memon last year, Madhukar claimed that the convicts are only trying to delay the inevitable. “The deceased was seen with the convict inside the car”, Madhukar said, claiming overwhelming evidence against Vikram Singh. Madhukar claimed that apart from thirdly of Section 300 Indian Penal Code, fourthly of Section 300 IPC is also attracted against the convicts. Therefore, he said, their offence cannot be reduced to one of negligence. Abhishek Singh, counsel for the complainant, told the bench, that the convicts Jasvir Singh and his wife, Sonia, who is undergoing life sentence for the same offence, sought conjugal rights, to bear a child, which was denied by the court. As the bench was about to dictate the order, Tulsi rose to make additional points. He said that the rest of the evidence, without corroboration of the electronic evidence, would require re-appreciation. The bench also took note of the fact that a petition of the convicts seeking commutation of their death sentences on the ground of undue delay in considering and rejecting their mercy petition by the President is pending before the Punjab and Haryana High Court. The bench then asked the counsel to submit written note, by Friday, and reserved the judgment.